Russell Dickerson & Carly Pearce are coming to Champaign, IL and B104 has your chance to win tickets to the show! 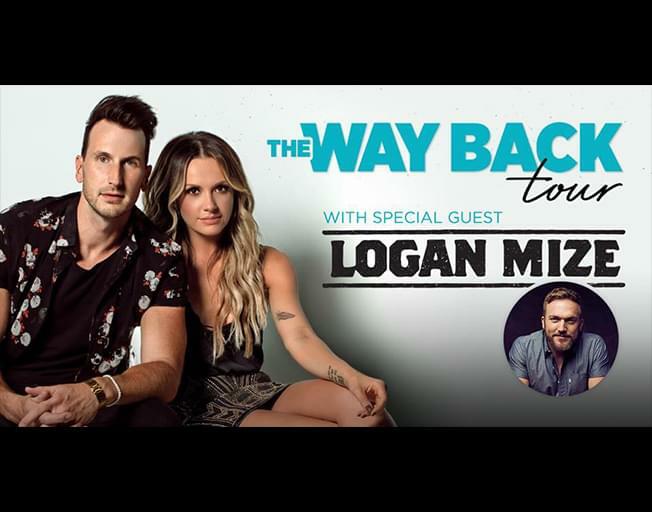 Russell and Carly are bringing their co-headlining “Way Back Tour” with special guest Logan Mize to The City Center in Champaign Thursday, February 28th and B104 Insider Reward members can ENTER TO WIN TICKETS NOW HERE. Get complete concert and ticket details here. You have until Sunday, February 17th at 11:59 pm. to enter. If you are not a member, Click Here to Sign-Up Now. It only takes a couple of minutes and membership is completely FREE! You can then take advantage of all of the benefits including the exclusive winning like the tickets to see Russell Dickerson and Carly Pearce in concert! Win with Bloomington-Normal’s #1 Country, B104!